Do you dine on fast food four times a month? If your answer is yes, then you're an average Australian. A new report on the nation's eating habits shows that Australians make 51.5 million visits to fast food restaurants every month. The Enhanced Media Metrics Australia report found young Australians were the most likely to eat out and eat fast food, with 60 per cent of those aged 14-29 eating fast food at least once a month compared with the national average of 45 per cent. The EMMA report is based on surveys conducted last year with 54,000 people aged 14 years and over. 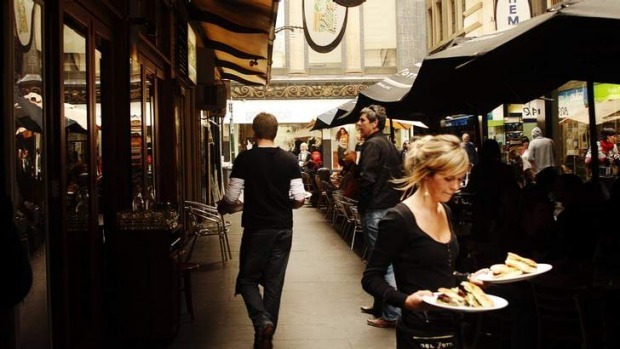 Residents of NSW and the ACT were the most likely Australians (83 per cent) to spend money eating out of home each month, compared with the national average of 81 per cent. While fast food maintains its grip on our girths and wallets, cafes proved the most popular destinations for dining out with 29.8 million visits to cafes each month. Australians pay a further 44 million visits to cafes each month to buy coffee or other drinks. Of the 51.5 million visits to fast food restaurants, just 21 million are for dining in, while the majority of visits are for take-away meals. Victorians were the nation's biggest cafe lovers, with 62 per cent having eaten at a cafe at least once in the past month, compared with 60 per cent of NSW/ACT residents and 59 per cent of West Australians. Queenslanders were least likely to eat at a cafe, only 56 per cent having done so in the past month. The report found that Queenslanders are the most likely to eat fast food, with 48 per cent declaring they did so at least once a month. Social researcher Rebecca Huntley, a director at Ipsos Mackay, said she was not surprised by the findings of the EMMA report, which was administered by a separate arm of Ipsos. “We know from industry data that the restaurant industry as a whole is growing, and has grown even in the post global financial crisis period,” Dr Huntley said. She said a report she worked on last year, the Ipsos Food Health Report, found Australians were eating out or eating pre-prepared meals 2.5 times a week. Australian Bureau of Statistics time-use data also pointed to a trend of Australians spending less time on food preparation in the home. The EMMA report asked respondents about attitudes to cooking and found that young people lacked confidence in the kitchen. Less than one-fifth of people aged 14-29 said they felt confident about cooking. 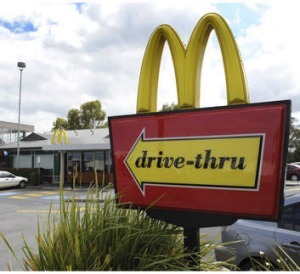 In terms of fast food, the EMMA report found McDonald's to be the country's most popular chain, followed by Subway, KFC, Hungry Jack's and Dominos. 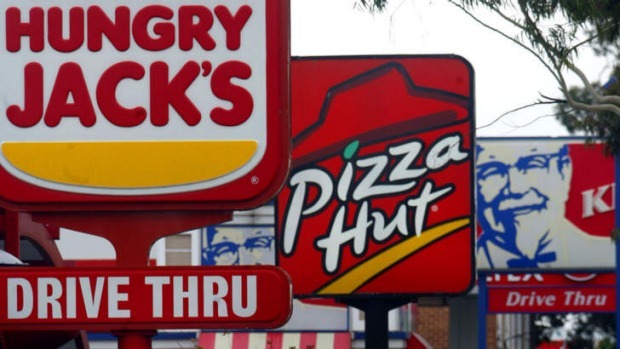 Pizza Hut, which last week released a calorie-busting burger-crust pizza, came in as Australia's 10th most popular fast food chain. The report found that price and convenience are the most important factors in determining which fast food chains Australians visit. “Taste” was ranked as a key choice by only 8 per cent of people. Considering whether a fast food restaurant offered healthy choices was a key factor for 28 per cent of respondents. Enhanced Media Metrics Australia, administered by Ipsos Media, was established last year and regularly conducts surveys with a pool of 54,000 Australians (aged 14 years and over) who are given incentives such as prizes and discounts to participate.